Columbia Architectural Products was founded in 1983 and has been servicing the metal wall panel industry faithfully for over 25 years. 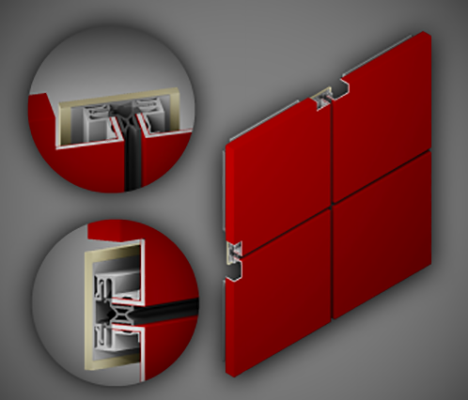 Starting with the manufacturer of window and storefront infill panels, we have evolved to specialize in custom engineered high-tech wall cladding systems. We can turn a typically slow and extended lead times into an elevated level of service and completion. When creativity and reliable service are paramount, CAP is uniquely staffed with the in-house engineering, project management, and customer service team to get your project done in a timely fashion. Now architects and builders have an affordable alternative to achieving a flush high tech appearance of first class quality with a metal skin of sophisticated elegance with the in-house engineering. Job One Quality Architectural Metal Fabricator with the Delivery on Schedule.